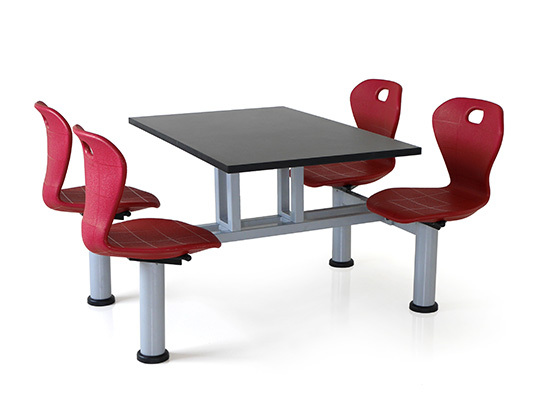 Quattro is the ideal option for canteens and cafeterias looking for easy maintenance and practicality in usage. 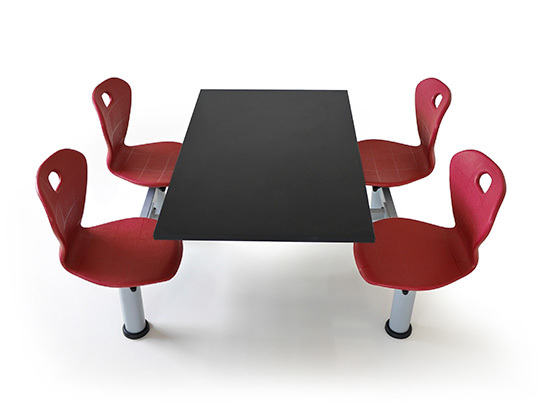 It is a four-seater integrated unit, comprising a table and four seats with a special auto-return swivel mechanism. It features a robust steel frame, with only 4 posts in contact with the floor, to enable efficient cleaning. There are two models in seat shell designs with colour options: Forma and Puma. 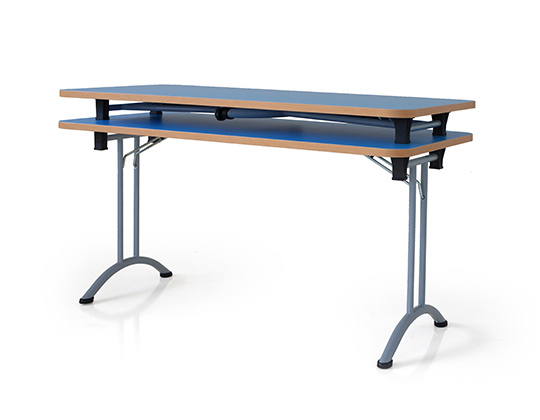 Frame and legs robust epoxy-coated steel frame with only four main posts in contact with the floor (for ease of cleaning), which supports a table top and four beam mounted, auto-return swivel seats. 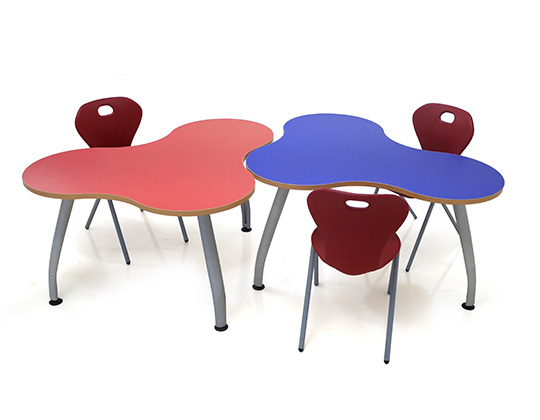 Desk top 25mm particle board pressed with a high pressure top laminate, a bottom balancing laminate and PVC edges. Stone table tops can also be provided. Seat shells plastic shells are available in two models, Forma and Puma.